You’ll be picked up from your hotel by a professional guide and taken to see the Kremlin. 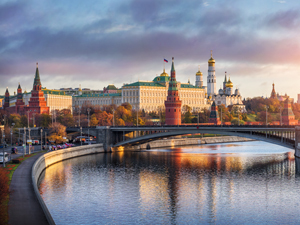 The Kremlin is the most recognizable image of Russia and the most visited place in Moscow. 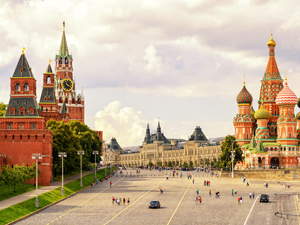 On this tour you will walk on the Kremlin territory basically breathing in the history. The guide will show you the largest bombard in the world – the Tsar Cannon – and the largest bell in the world – the Tsar Bell. You will visit three Royal Cathedrals: Assumption, Annunciation and Michael Archangel Cathedrals. You’ll have a look at the Senate where the President works and the State Kremlin Palace. You’ll also see the Moscow Kremlin’s Faceted Chamber and Grand Kremlin Palace from the outside. You’ll finish the tour by visiting one of the oldest museums in Russia – the Armoury. Transfer back to the hotel. The Kremlin grounds and Armoury tour is not available on Thursdays.